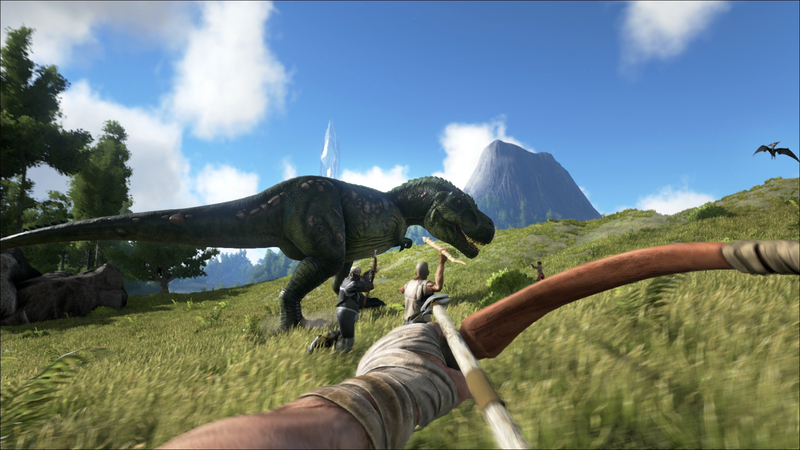 An early access title like Ark: Survival Evolved selling over 400,000 units in less than a week is impressive. Hearing that Studio Wildcard brought in more than $10 million in revenue during that same week is enough to make any aspiring developer take notice of Steam’s Early Access program. From a distance, Early Access seems like an indie developer’s dream come true. You don’t need to rely on a publisher or even finish your game before you have access to a paying audience. Instead you sell what you have and make improvements as you go. Monetizing the development process is what crowdfunding is all about and early access is just an extension of that process, right? Despite the impressive sales figures, Studio Wildcard co-creative director and co-founder Jesse Rapczak told Gamesindustry.biz that the developers had chosen early access as a way to collect massive amounts of feedback during development, not for it’s funding capabilities. “It can be a way to generate revenue for your title while you’re working on it, but I would not advise anybody think of it like that,” Rapczak said. This sentiment is echoed by the developers behind another early access success, Prision Architect. While Introversion had the benefit of a catalog of previous titles to help drive development, they knew they would need additional funding down the line. 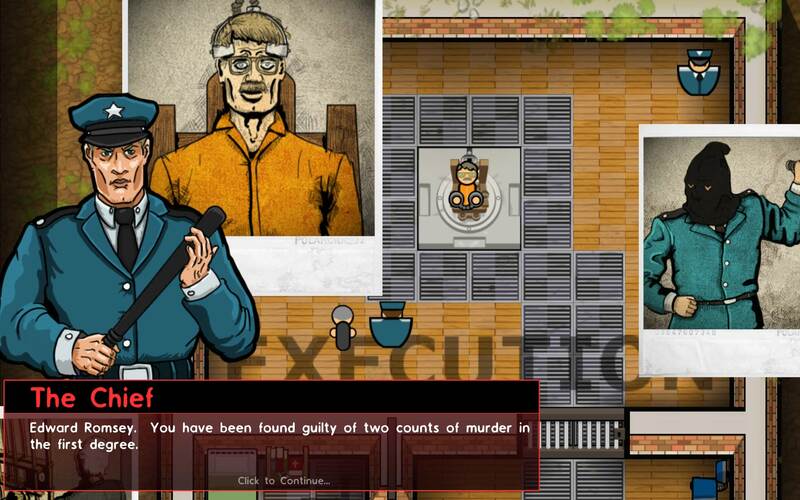 They decided crowdfunding Prison Architect from the alpha stage was the best choice. Introversion used their own website and technology to implement a tier pricing system. This allowed them to sell the base game while frequently updating the build. “By doing it ourselves we don’t have to time limit the alpha and we hope that we’ll get more and more gamers interested as we progress and start releasing the updates,” Introversion’s Mark Morris said in a 2012 interview with Develop. I have a bit of a confession at this point. I had the naive idea that Early Access was just another crowdfunding platform. True, Valve puts a disclaimer on all of titles in the program, letting potential buyers know that the game isn’t complete and may not progress beyond its current state. Still, you’re paying for something that already exists. When you back a Kickstarter you can end up waiting years just for an alpha release. The assumption of Early Access, of course, is that the developer will continue working with the community to improve the game. Eventually, development will wrap up and the game will get a full release. Anyone who’s even somewhat familiar with early access will know that this is not always the case. 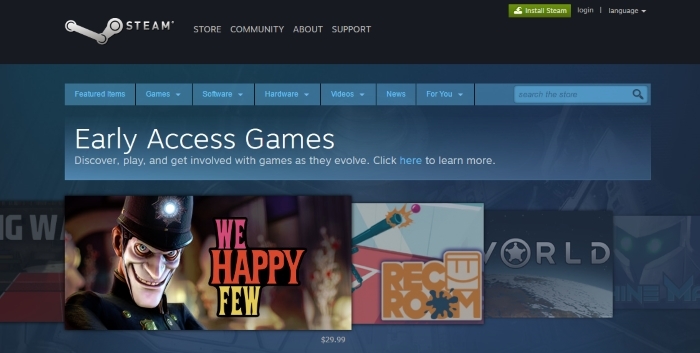 According to Valve, Early Access is intended for playable builds of games still in development. This does not include, tech demos or gameplay concepts. Likewise, Valve urges developers not to launch in Early Access if they can’t afford to continue development without selling any units. I understand the temptation. Why pour time and effort into a Kickstarter campaign when you could just start selling your game and turning a profit immediately? Using the profits to improve your game is basically crowdfunding without the risk of missing your goal, right? Some developers certainly seem to think that way. Panzer Gaming Studios is an example of a developer who repeatedly couldn’t secure funding on Kickstarter. Instead taking their incomplete game to market over and over, again. Panzer’s Time Ramesside (A New Reckoning) went through three name changes and five failed Kickstarter campaigns before landing on Early Access. Now fully released, reviews indicate the game is far from complete. It’s hard to dispute such accusations when the most recent update lists, “enemies damage player,” as a bug fix. Yet this hasn’t stopped Panzer from releasing another Early Access title, while still frantically updating Time Ramesside. This abuse of the system is a blatant money grab. It brings the whole program down and hurts legitimate developers looking for feedback. The key difference seems to be what developers hope to take from Early Access. If they want to work out balance or design issues, it can be a great tool to aid them. If, however, they are hoping to make some funds so they can quickly move on to their next game, their reputation and final product is going to suffer; definitely something to keep in mind before launching your next Early Access title. Previous articleWhy Won’t You Let Me Love You, Café Mildé? Next articleWhat Should You Keep In Mind Before Backing a Game on Kickstarter?